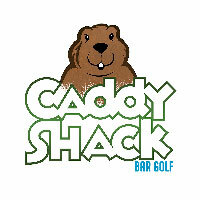 Caddy Shack bar golf comes to Germania Maennerchor! Join us Saturday, February 9th, 2019 for 18 holes challenging putt-putt style holes, ranging from easy to almost impossible. Sign-in at at Germania Maennerchor (916 N. Fulton Ave) starting at 10am. Shotgun start at 11am. Team registration for a twosome is $25. Each player needs be 21 or over. Only the team captain needs to register. Your team registration fee gets you 18 holes of bar golf + one lunch and one beer per person. Awards ceremony starts at 4pm. Awards for the 3 lowest scores. Proceeds from event go to support Germania Maennerchor. They will be selling Mulligans for $1 and Hole Do-Overs for $3. Look for the hole-in-one contest for a $3 donation.